Being the first LatAm country to be strictly regulated by a regulatory body, Coljuegos, Colombia has surely been attracting quite a substantial amount of attention. In an insight published in BtoBet’s latest Industry Report, Chairman Alessandro Fried states there is much to be optimistic about regarding the full potential of the iGaming sector in Colombia. Not only has the country set itself as a leader in Latin America by incorporating a strong regulatory environment, but with the Colombian regulators themselves stating that they are willing to work more closely with other countries on regulatory issues, everything seems to affirm that eventually, Colombia will set itself as an example for other markets in the region. There is also good reason to believe that a broader cooperation would result in a more linear, harmonised and standard approach to the regulation across the entire region ultimately benefitting all the major countries, including Colombia itself. The efforts made by the local authorities to open up the gaming market should be duly noted. The efforts by the Colombian authorities to set up a system based on a robust and transparent regulation with the operators and customers’ protection in mind are truly commendable and should serve as an example for other LatAm jurisdictions. However, as is most often the case in many markets worldwide, the benefits that operators will be able to reap in such a strongly regulated environment is by making the right choice as regards the choice of the technical partner. Even though working in such a strongly regulated environment surely has its positives, operators must ensure to make the right choice under various technological aspects to ensure that they fall within Coljuegos’ regulatory framework. 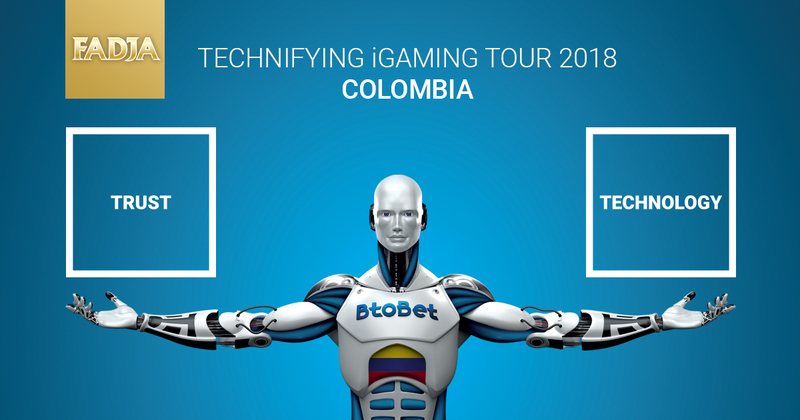 Throughout these last years, BtoBet has ascertained itself as the major technological partner in Colombia, partnering with the majority of operators in the country. Having so many different operators on board, as emphasised by BtoBet’s Chairman Alessandro Fried in his insight on the iGaming sector in Columbia, is a major advantage as this guarantees that its platforms not only are fully compliant with the regulatory environment but also guarantees operators to be up and running in a very limited timeframe. To meet our experts in Bogota’, contact sales@btobet.com or call +356 27135974.